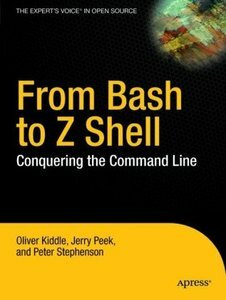 This comprehensive, hands-on guide focuses on two of the most popular and feature-rich shells, bash and zsh. From Bash to Z Shell: Conquering the Command Line is a book for all skill levels. Novices will receive an introduction to the features of shells and power users will get to explore the benefits of zsh—one of the most powerful, versatile shells ever written. Intermediate users will uncover hints, recipes, and ideas to enhance their skill sets. The book covers shell programming, but is unique in its thorough coverage of using shells interactively—a powerful and time-saving alternative to Windows and a mouse. This strong author team has written an immediately useful book, packed with examples and suggestions that users of Unix, Linux, Mac OS X and Microsoft Windows can readily apply.